The Studio Profil features ultra contemporary styling that fits in perfectly with all modern interiors. 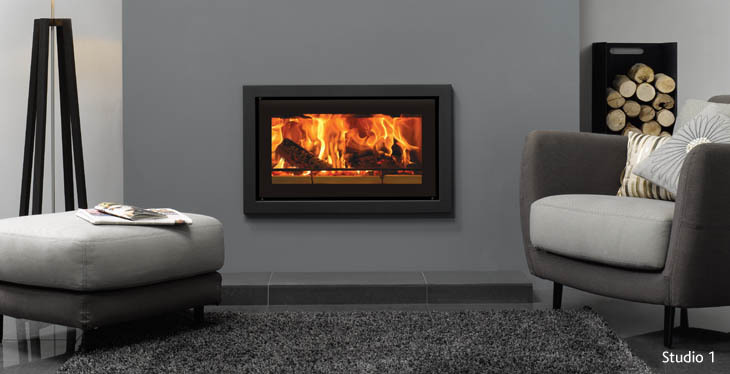 Furthermore, the Studio Profil is finished in Jet Black Metallic and is available on all sizes of Riva Studio fires. If you wish to add a splash of colour to your home, you can customise your Studio Profil with one of four additional colour finishes available in either Metallic Red, Metallic Blue, Metallic Bronze or Ivory. In addition, by fitting the optional ducting system you can also heat up to two adjacent living spaces with your Riva Studio 500, 1 and 2 and up to four when you chose a Riva Studio 3.